Bring high-end fashion home with a luxury collection that marries unique designs with durability. High-end fashion comes home with a luxury collection of 14 unique, fashion inspired carpet designs that bring ease of care, durability and fresh style to your home. Curated into three coordinated palettes, Modern Contours includes vibrant styles and textures that mimic luxury fabrics, materials and knitting techniques making it the perfect marriage of fashion and durability. All with the feeling and comfort underfoot of our SureSoftSD™ fiber and the lifetime protection of Microban® antimicrobial technology, the smarter way to keep your carpet cleaner. Modern Contours features Microban®antimicrobial technology, the smarter way to keep your carpet cleaner. The ground-breaking Microban® technology is always working to keep your carpet free from microbes and their stains and odors. Carpets from Phenix are the only carpets that offer the protection of Microban® technology. 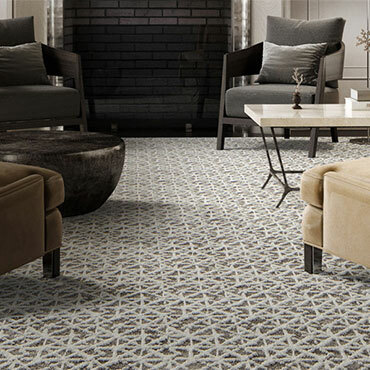 Modern Contours also features the luxurious feeling and comfort underfoot of SureSoftSD™. Made from the softest P.E.T. fibers, SureSoft™ and SureSoftSD™ carpets afford you greater flexibility to reflect your unique style—make it the foundation of your home’s design.